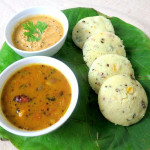 Idlis and dosa are the most popular breakfast from South India.Regular idlis are made with a batter of rice and white lentils,which need pre preparation. 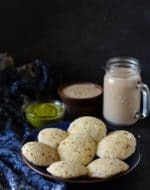 Rava idli is an instant idli which require no preparation,just add some yogurt and tempering in semolina (cream of wheat)wait for 15 minutes and then the idlis are ready to steam.These idlis are easy to digest, light on stomach and a low fat snack . 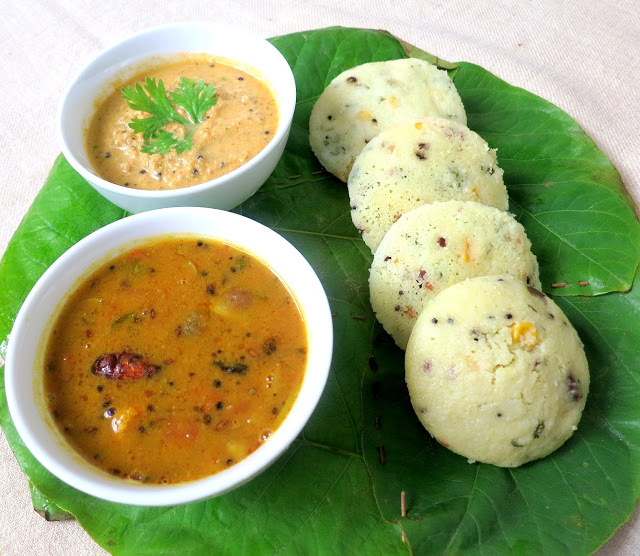 You can use any vegetables of your choice to make them healthy and colourful vegetable rava idli . 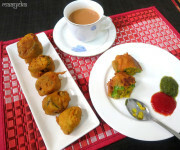 You can serve them any time as a snack,brunch,lunch,dinner,travel food, and a great tiffin/lunch box recipe for kids. Take yogurt in a bowl and whisk well. Whisk well and add salt,corn kernels and a pinch of turmeric. Cover and rest for 15 minutes . Make the tempering-heat oil in a small pan,and fry cashew pieces on low heat till golden in colour,remove from the pan and add them in the semolina mixture. Now in this oil add mustard seeds and white lentils,when it start crackling,add curry leaves pieces and asafoetida and remove it from the flame. 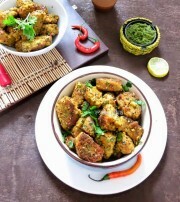 Add dried fenugreek leaves (kasoori methi), saute for few seconds and mix in the semolina batter. You can add some more water in it ,if it thicken a bit now. 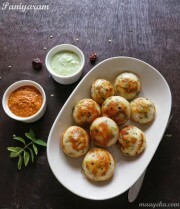 Heat water in a steamer and grease the idli plates with oil. When water start boiling add fruit salt in the mixture ,mix well and pour approx 1 tbsp of mixture in every idli mould. Place the idli stand in the steamer ,cover and cook for approx.10 minutes ,first on high heat and then on medium flame . Remove the steamer from the flame,let it stand for 5 minutes and then with the help of a greased spoon scoop out the idli’s . 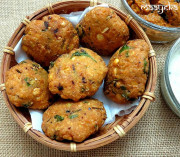 1-You can also add grated carrots,spinach and cabbage in the batter to make it more heathy for the kids . 2-You can substitute kasoori methi(dried fenugreek leaves) with fresh fenugreek leaves or green coriander. 3-Add fruit salt only in the batter required to steam,don’t add in the whole batter. I will try at home. I love this recipe. Looks very appetizing! Mam can u please give us recepie for typical udipi hotel style sambhar also. Thnx. Hi ma…this looks amazing..you are really doing a great job…well done..
Yay! Coconut chutney! I can't wait to try this, although I can already say I'm going to be real confused because I am unfamiliar with Indian cooking and don't recognize many of the ingredients. When you say "slightly soured" yogurt, is that something that you buy? Inviting and super filling breakfast, both makes me hungry. 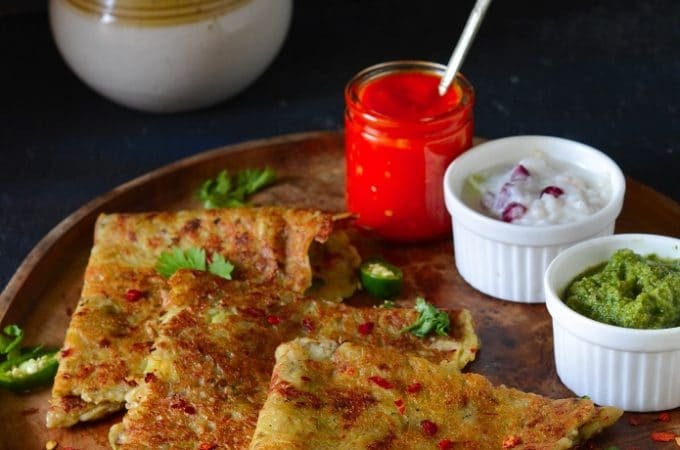 Wonderful platter.. My family fav Breakfast, adding corn in batter its real twist from regular idli..
healthy n yummy….by d way do u use roasted rava or plain rava? Healthy and delicious breakfast platter.. Love it.